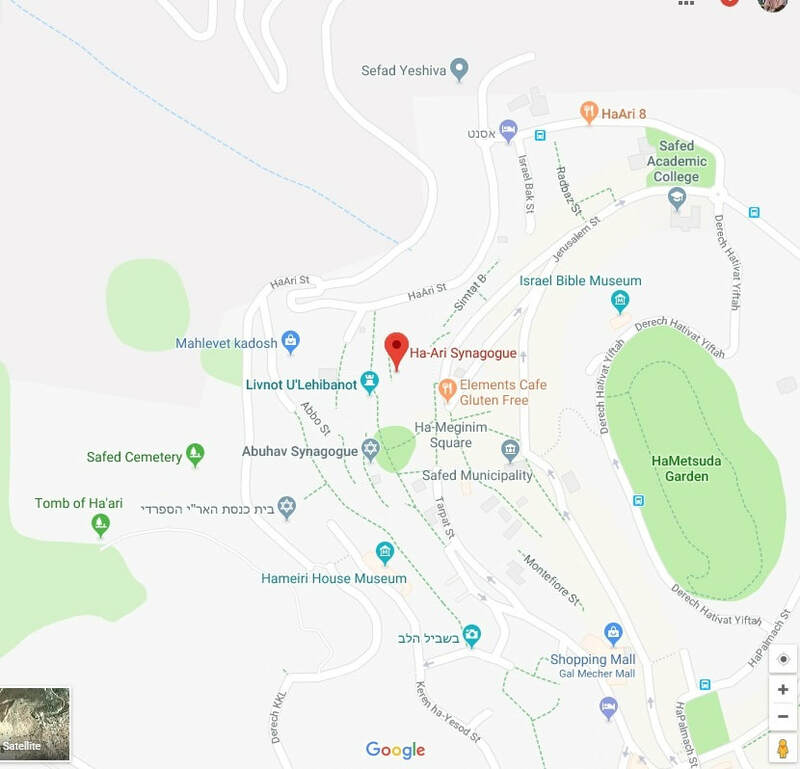 * Pass the Yosef Caro Synagogue on your left. * Walk up about 15 stairs. The synagogue will be to the left of the stairs.